An effective and free platform for social media promotion, online marketing and search engine optimization for brands, public figures and individuals. Paid2Like.com utilizes the concept where like minded people help each other by reciprocally sharing/ publicizing each others information. Whether its about facebook likes, Instagram followers, Google Plus votes, real website traffic, twitter followers, tweets, youtube boost - everything is achievable at Paid2Like .com. Apart from that, Paid2Like.com offers opportunities to affiliate marketers to earn handsome amount by participating in Paid2Like Affiliate Marketing Programme. What about the money in my account? What can I do with balance? You can grow and promote your own social media or website using the money you gather. Just add your link, set a budget for your campaign and select cost per action (CPC) rate. Sit back and relax while you admire waves of traffic join your facebook pages, follow you on twitter, retweet your ads, vote for you on Google plus and watch your video and much much more. How can I get account balance? You will receive credit (account balance) from every action on our site. For example..
You can also deposit cash directly to your Paid2Like account if you dont want to spend time following, liking or sharing others..
Can I directly purchase facebook likes, twitter or Instagram followers (etc.) instead? Yes, if you dont want to participate in the network or just want guaranteed social media booster packages, we also have unbeatable social media marketing offers. For webmasters, SEO agencies, bloggers and brands there are highly effective SEO/ social bookmarking packages as well. Check our store for more information. Number of exchanges doesn't match the number of likes I've actually received on my page.. Why? Well, this may happen in some cases that you will receive more likes/ shares or less than what you were supposed to. Paid2Like chanrges your account only when an action (like/ share etc..) has been successfully recorded for your campaign. However, sometimes there can be a few users who like/follow your page initially, but later if they dont find the content interesting enough they decide to unlike/unfollow. My balance is decreasing.. Why? When I refreshed the page I noticed my balance decreased.. Why? Here at Paid2Like advertisers post their ads (campaigns) and they spend money when others like/share their ads. If your balance is decreasing, this indicates you are running your own ads and other users have already started liking/sharing them.. To check if you have active ads (campaigns), go to Manage campaigns page. There you can enable/ disable or edit all campaigns you are running. Does Paid2Like auto-post status updates/ tweets or likes anything without my permission? Oh no! Never! Paid2Like never asks for your passowrd, or API access, neither we post anything from your accounts without permission. Paid2Like. Its you who is to decide what to follow and what to share.. So your account is totally safe and your privacy respected. Do you sell Followers, Likes, Friends, Subscribers or Hits? Yes, if you want guaranteed packages instead of running DIY free campaigns here you get those time saver deals! Do you force my accounts to Like/ Share/ Post? NO, not at all! We just encourage you to discover others' content and promote what you find interesting. We never ask for your account password or API access. Its your account and you should be in control! I referred someone but haven't got referral sign up bonus. Why? When you refer someone you dont get credited instantly. To prevent fake signups using self referral method we check each new signup. Once your referred user becomes an active part of Paid2Like and starts using the account frequently it becomes a Qualified Signup and you will get your bonus. My campaigns are running slow. Why? How can I get more likes, shares, followers faster? Are you offering good cpc? With cpc $0.004 your projects will run slow, whereas offering cpc $0.1 give much faster response. Are you accepting everybody to your campaign? Are you narrowing your target audience by selecting specific country or using filter audience feature? Do you have enough balance on your account? You wont get likes, followers, shares when you run out of balance. 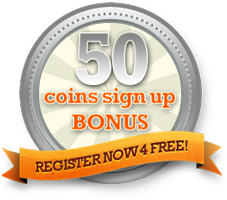 You may participate in Paid2Like network and earn credit or you may deposit to your account here. I think there is something wrong. I did bla.. bla.. bla.. and didnt receive bonus. Why? Well, the campaigns you promote, like, share are all posted by other members. Sometimes they can accidentaly post inappropriate campaigns that are non-responsive or dead. If you happen to come across such a campaign on any section, there you will always see the "skip" button to trash the dead campaign and move on. Apart from that, if you really believe there is a bug in the system or you come across weird error messages, feel free to report it in details, from Contact Page selecting category: "Report a Bug". I am a reseller. anything special for me? We are glad to hear that. Dont hesitate to contact us, we are always expanding. I have acusomt project. I need something else done. Data entry? Signups? Forum posting? Data mining? Clickjob? Writing? We have massive work-force. Whatever, your requirement is, as long as you need the power of crowdsouring, do write to us, we are open to discussion.